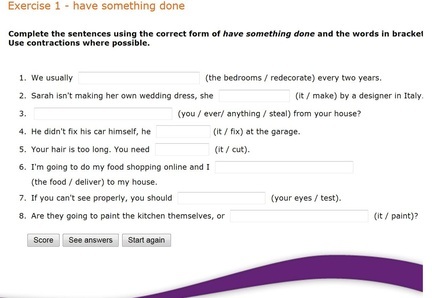 These are some activities that you can do online to test your knowledge on gerunds and infinitives. For a revision on prepositions, please visit Agendaweb. For activities on verbs with prepositions visit Ecenglish. You can also download a pdf file to practise on adjectives with prepositions on download. If you want to review the irregular verbs, please use the links on ﻿manythings.org﻿. You can even download the mp3 files or watch a video. Luis Otavio Barros shows you how to pronounce the past using 12 different songs on http://www.luizotaviobarros.com/2016/10/pronunciation-ed-endings.html. He focuses on the different pronunciation of /t/ and /d/. Remember to get the list of voiceless and voiced consonants on downloads to differentiate them. Find a detailed explanation on Ego4U. Form, spelling rules. exercises and tests. ​Find an activity on this grammar point at Speak Speak. 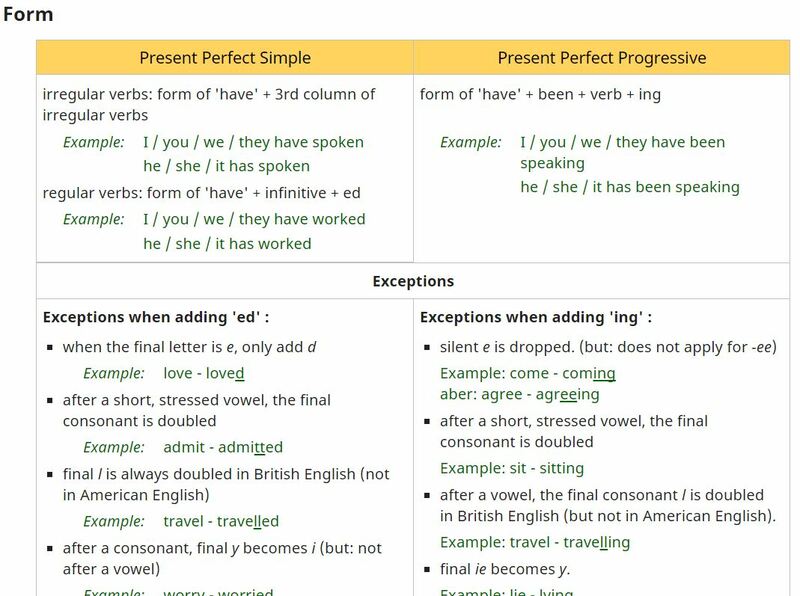 Also read about the most common mistakes concerning the use of both, present perfect simple and continuous. Find a good explanation on alternatives to "if" including "whether" on BBC World Service/Learning English.